A map is not a journey. Art is a journey of discovery. In a long journey straw waighs. Struggle is part of the journey. The journey never happens alone. I'm simply following the journey. Everybody has a different journey. My journey is technical complexity. The journey is better than the inn". Every canvas is a journey all its own. It's a journey; it's a fight everyday. Joy makes the longest journey too short. Take a journey to the realm of the truth. Playing guitar is a never-finished journey. 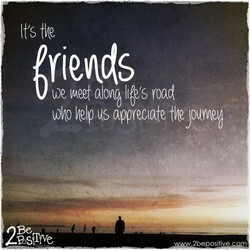 A journey is measured in friends, not miles. Happiness isn't a destination; its a journey. If itâs change you need, relish the journey. A journey never ends. Only the travellers end. Its the not the Destination, It's the journey. Sin is like a journey, it begins with one step. Failure was a key element to my life's journey. My whole journey has been about self acceptance. A Single journey can change the course of a life. Thatâs my next journey - to be a great actress. It is not the life that matters, but the journey. Tis but a short journey across the isthmus of Now. Oh that I may never loiter on my heavenly journey. The good Lord has blessed me with a great journey. The first step in the journey is to lose your way. 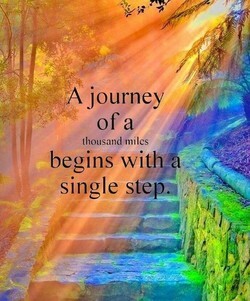 The first step of a journey is always the longest. Perhaps the longest journey is the journey within. Thinking: this journey will be the axle of my life. 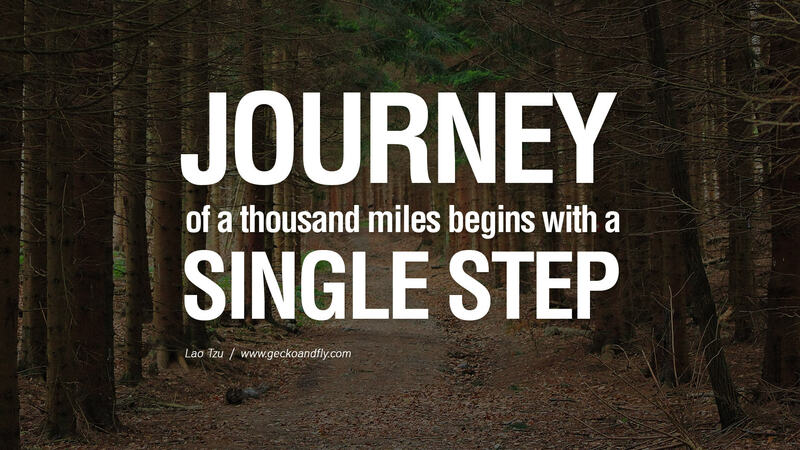 The journey with a 1000 miles begins with one step. The endless chatter of this journey had wearied me. Every step begins a journey, and this one is for us. The journey is more important than where you end up. Discovery is the journey; insight is the destination. We are here to help one another along life's journey. The journey toward the heart is always a journey home. Be grateful for your journey because it is yours alone. Reading is also a journey. It's a process of discovery. A pleasant companion reduces the length of the journey. No journey is too great, when one finds what one seeks. 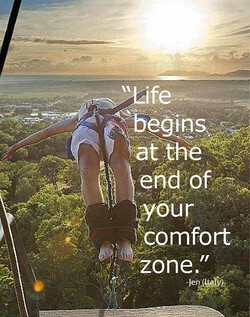 Courage is being afraid and going on the journey anyhow. A night journey is essentially a thing of possibilities. Every part of the journey is of importance to the whole. We teachers make the road, others will make the journey. Music is my first love, where my artistic journey began. Hide your gold, your faith and the reason of you journey. 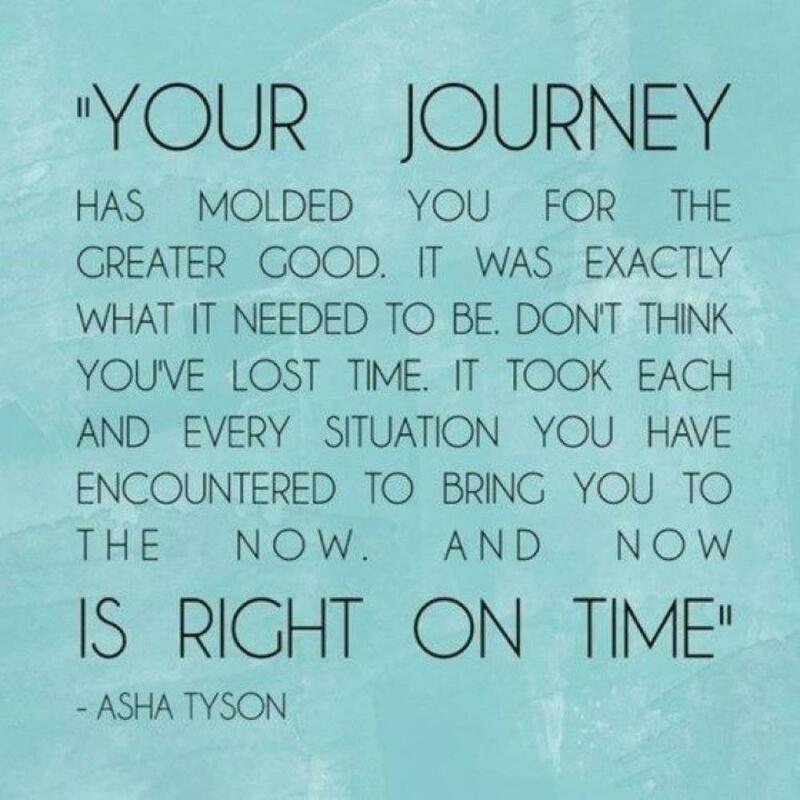 It's the journey that's important, not the getting there! Every journey is played out between standstill and flight. The journey towards success is not always easy or upwards. 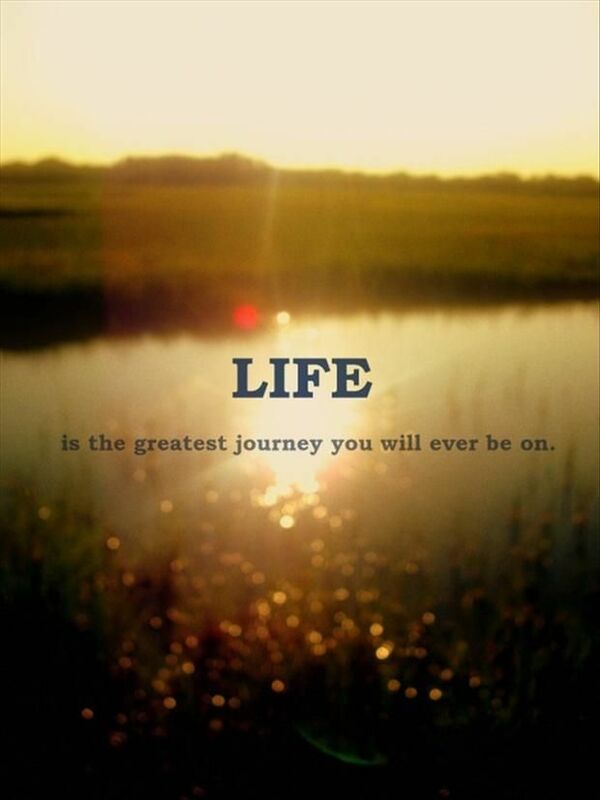 Life's a journey. It's a journey about discovering limits. It's not about the journey. It's about the people you meet. Someone soon to start on a journey is always a little holy. A career in photography is a journey without a destination. To God, our journey is JUST as important as our destination! The dream is free...but the journey will cost you something. Mortal life is like unto the traveler on a homeward journey. Living your best life is your most important journey in life. As surely as there is a voyage away, there is a journey home. May the simple things be amazing on the journey of your life. At the last stages of the journey, there's no journey at all. When things go wrong, I just think: It's part of the journey. The journey toward self-discovery is life's greatest adventure. In some ways Holy Smoke is about people's journey to the heart. Slowing down reminds you that the journey is supposed to be fun. One makes a trip by day, but by night one sets out on a journey. It were a journey like the path to heaven, To help you find them. Writing is not an exercise in excision, it's a journey into sound. A black belt doesn't mean anything. The meaning is in the journey. I'm somebody who considers happiness a journey, not a destination. Every athletic career, no matter how modest or lofty, is a journey. The journey, not the arrival, matters; the voyage, not the landing. Those who arrive at the end of the journey are not those who began. The journey is the destination. That's what you have to tell people. Everything takes time. You have to love the journey and the process. Even one justice can advance or reverse the progress of our journey. A smile goes a long way, but you must first start it on its journey. If you have a dream you gotta go on a journey to fulfill that dream. Success is not in reaching the destination, but in making the journey. Life is made up of a series of moments, each one a journey to the end. The Artist's Way is a spiritual journey, a pilrimage home to the self. Stop and go: always on some journey. My bounty is a photograph or two. We're not on a journey to a goal, the goal is with us changing with us. Writing every song is a little journey. The first note has to lift you. Relax, you're on a journey of discovery. Let life reveal itself to you. Making a journey by night is more wonderful than anything in the world. One agonizing journey down the gauntlet of youth is enough for any man. Find happiness by enjoying the journey, not by awaiting the destination. Music is the journey. You never arrive in music; the work is never over. 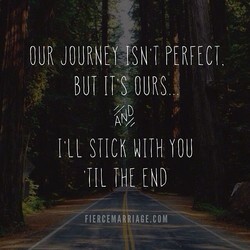 Our journey on the path is personal and well lit with the Savior's love. The supreme adventure in a man's life is his journey back to his Creator. Either create your own journey or you'll become a part of someone else's. There's only one problem with the hero's journey, it never included women. My own journey started long before I left, and was over before I returned. THE JOURNEY IS FROM HERE TO HERE. AND THE ONLY TIME YOU CAN ARRIVE IS NOW. 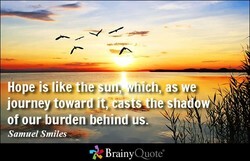 Life truly is a journey, and the less baggage we carry the easier the ride. The man who is cocksure that he has arrived is ready for the return journey. A speech without a specific purpose is like a journey without a destination. I try to play real people who inspire me through something in their journey. The right good book is always a book of travel; it is about a life's journey. The journey starts with a single step"not with thinking about taking a step. View others as unfolding beings in their journey toward higher consciousness. Along my journey / through this transitory world, / new year's housecleaning. If you look like your passport photo, in all probability you need the journey. The length of the journey has to be borne with, for every moment is necessary. Every hero must have the courage to be alone, to take the journey for himself. My definition of what makes a journey wholly or partially horrible is boredom. The task is not done. The journey is not complete. We can and we must do more. ...arranging the journey was so difficult. Getting home again was much easier. We don't always get the journey we want. But we always get the journey we need. Farewell! 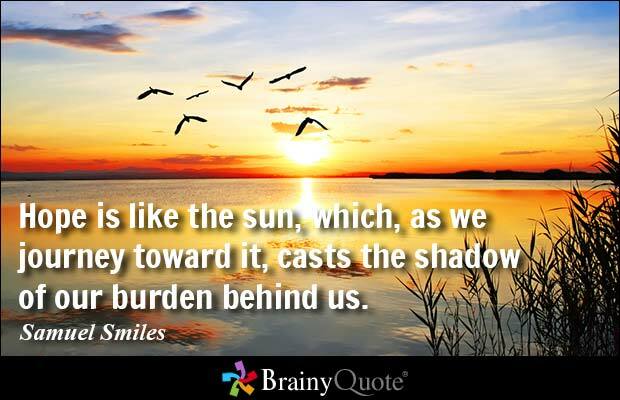 wherever you fare, till your eyries receive you at the journey's end! Love is a hero's journey, and the hero's journey is a noble but difficult path. Mastery is a journey, and that the master must have the courage to risk failure. The real traveller is the one who continues his journey even when the road ends! It's perfectly okay to fail. 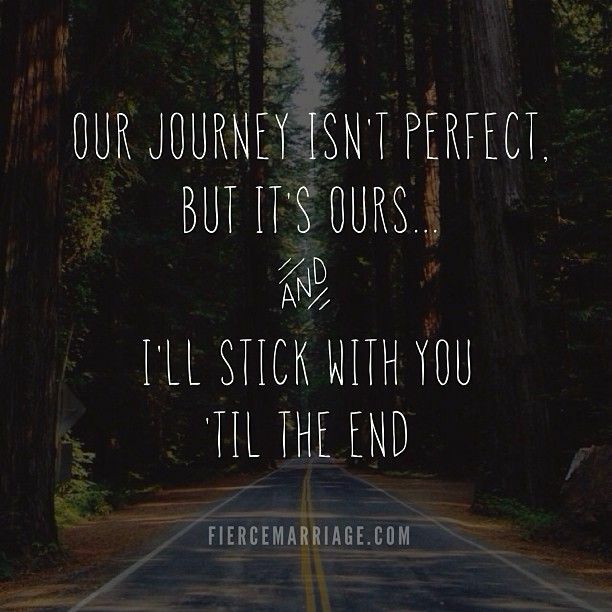 It sounds corny, but it truly is about the journey. Build then the ship of death, for you must take the longest journey, to oblivion. There is no difference in the destination, the only difference is in the journey. The farther the outward journey takes you, the deeper the inward journey must be. 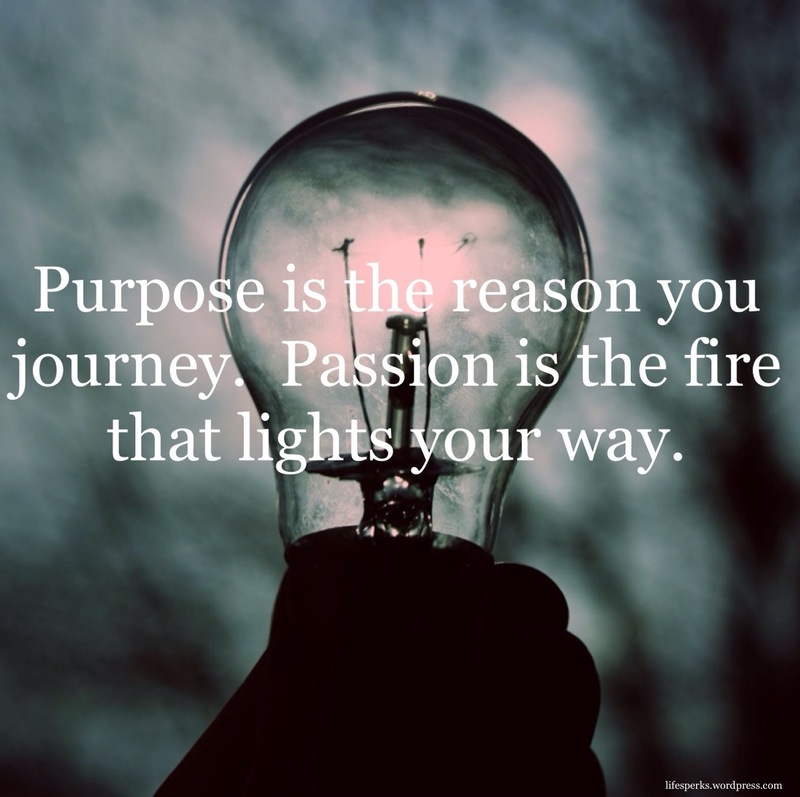 All of us have to figure out our own passion, our own journey. Follow your heart. The spiritual process has always been referred to as a journey - constant change. 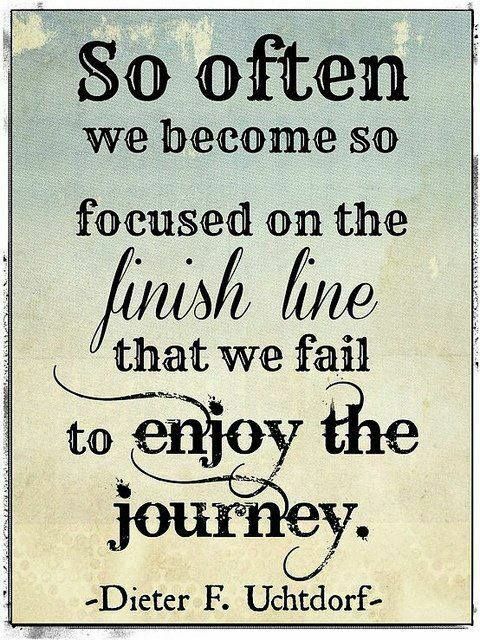 We oft question and compare.... Is the journey so important or the getting there? God wastes nothing, so use what He has given you as fuel for your soul's journey. Taking delight in the journey takes confidence. It pushes the envelope of design. In the spiritual journey, you cannot be a wine taster, you have to become a drunk. The journey of life is a mental one, which is taking place in the sea of illusion. 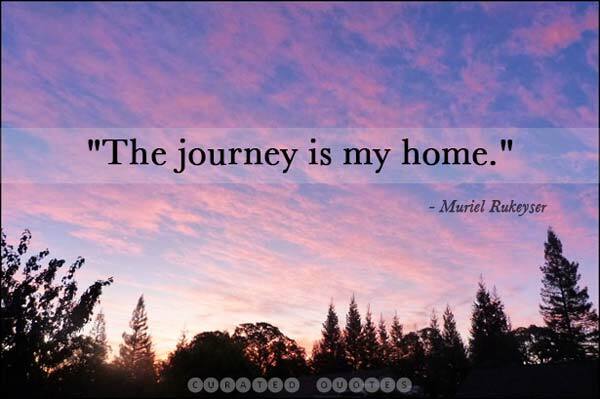 The challenge of our time is to find a journey worthy of your heart and your soul. I hoped that the trip would be the best of all journeys: a journey into ourselves. Whether youâre checked in or checked out, youâre always on a spiritual journey. There was hope in him, and soon perhaps the outline of his journey would take form. The idea of going on a spiritual journey is really part of the DNA of India itself. From the stars we come, to the stars we go. Life is but a journey into the unknown. A difficulty journey is more revealing of character than any discussion or analysis. On the artist's journey we are redefining and reconfiguring ourselves and our lives. Lifeâs a journey that goes round and round and the end is closest to the beginning. Cervantes said the journey's better than the end. Practices, to me, were the journey. The only journey of knowledge is from the depth of one being to the heart of another. It is our faith in Jesus Christ that sustains us at the crossroads of life's journey. Our journey is about being more deeply involved in life, and yet less attached to it. I absolutely trust that every animal and person has their own very necessary journey. Nature, as it grows again toward earth, is fashioned for the journey, dull and heavy. 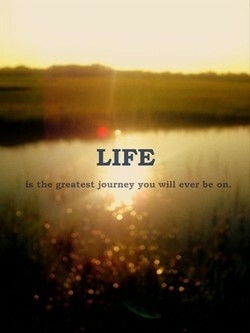 That's what life is, a continual state of journey. You are a river passing downstream. 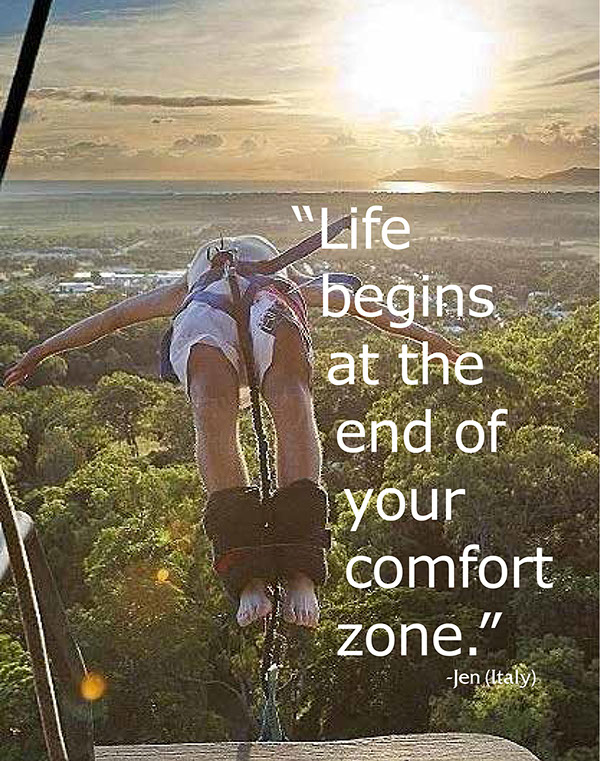 Don't be afraid to take risks. 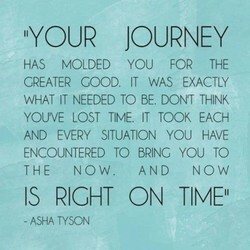 Make the most of your journey. Make it fun and exciting. Without the anticipation of better things ahead, we will have no heart for the journey. When the pursuit of natural harmony is a shared journey, great heights can be attained. I hope more women will join us in our journey towards a more balanced political system. Once you begin the journey toward a life of purpose, you enter the realm of real magic. From the sentimental point of view, it is the last great Polar journey that can be made. Hope puts up with modest gains, realizing that the longest journey starts with one step. 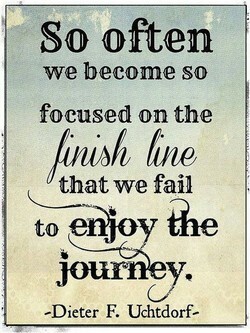 I would tell people to enjoy the present moment and the journey rather than the outcome. I think of death as some delightful journey that I shall take when all my tasks are done. Greatness is a journey that begins with the impossible and turns in to the unforgettable. Sometimes I'm extremely afraid of the unknown, but I'm so grateful to be on that journey. How to begin the journey? You need only to take the first step. When? There is always now. From the point of ignition. To the final drive. The point of the journey is not to arrive. A procession is a participants' journey, while a parade is a performance with an audience. Just be prepared for a long and often uncertain journey. The good stuff doesn't come easy. For me, the live show is sort of the ultimate expression of this journey that I've been on. Genius is both the sail and the wind; that's why he continues his journey without stopping! Look forward, not back. Correct your course and go on. 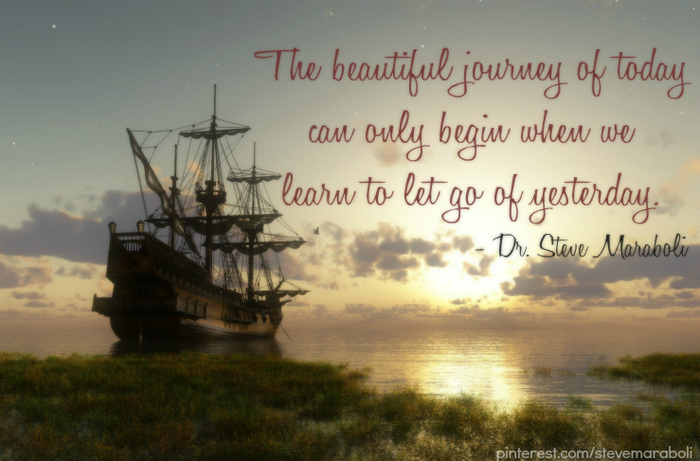 You cannot undo yesterday's journey. Some of the great pictures happen along the journey and not necessarily at your destination. Whatever happens, believe that the journey is worth taking, and then you will reach its end. It's important, when going after a goal, to never lose sight of the integrity of the journey. I can guide you if you feel blind, I just need you to be willing to journey into my ILL Mind. Each traveler should know what he has to see, and what properly belongs to him, on a journey. The avarice of the old: it's absurd to increase one's luggage as one nears the journey's end. Finding your personal style is a rich journey of discovery, wonder, adventure, and excitement. For me, God and Jesus and the Holy Spirit have always been my closest friends in this journey. The sky is the limit. I'm just following where life takes me. It's been an incredible journey. The philharmonic became such a journey and adventure in my life, and a deeply satisfying thing. The journey of true success and lasting leaderships begins with the inward journey to the soul. Maps are essential. Planning a journey without a map is like building a house without drawings. Our journey is demanding enough that the need for reassurance as well as reminders is constant. Poetry for me has been a long pilgrimage, a journey and a growing relationship with the unknown. This is not an end. It is a beginning. You will need the courage of a lion to face this journey. Is it not the case that many a life journey starts out in the opposite direction to its destiny? Writing makes a map, and there is something about a journey that begs to have its passage marked. Curiosity began my journey, which led to regret, which brings me always to wonder and dedication. Success is a journey, not a destination. It requires constant effort, vigilance and reevaluation. My life has changed financially and I have a name, but I try to never forget people on my journey. Each of us has our own specific vocation, a sacred journey prepared by the Creator of the universe. Leaders must know where they are going if they expect others to willingly join them on the journey. That's the beauty of art--we strive for perfection but never achieve it. The journey is everything. Love is that flame that once kindled burns everything, and only the mystery and the journey remain. What unifies every part of my journey is I always lead with my curiosity, obsession, or fascination. Every journey toward a dream is personal, and as a result, so is the price that must be paid for it. Every journey will take us to somewhere even if at the beginning it looks like taking us to nowhere! The importance of a journey is not measured by the distance covered, but by the destination reached. Shall I redirect my life's journey because down some side road might be some trifle I'm entitled to? Tota vita nihil aliud quam ad mortem iter est. The whole of life is nothing but a journey to death. A journey takes time. And the lessons we learn best, they come from the journey, not the destination. You traveled the world... Now you must journey inwards... to what you really fear... it's inside you. Some of us seem so anxious about avoiding hell that we forget to celebrate our journey toward heaven. Love is the first step towards the divine, surrender is the last. 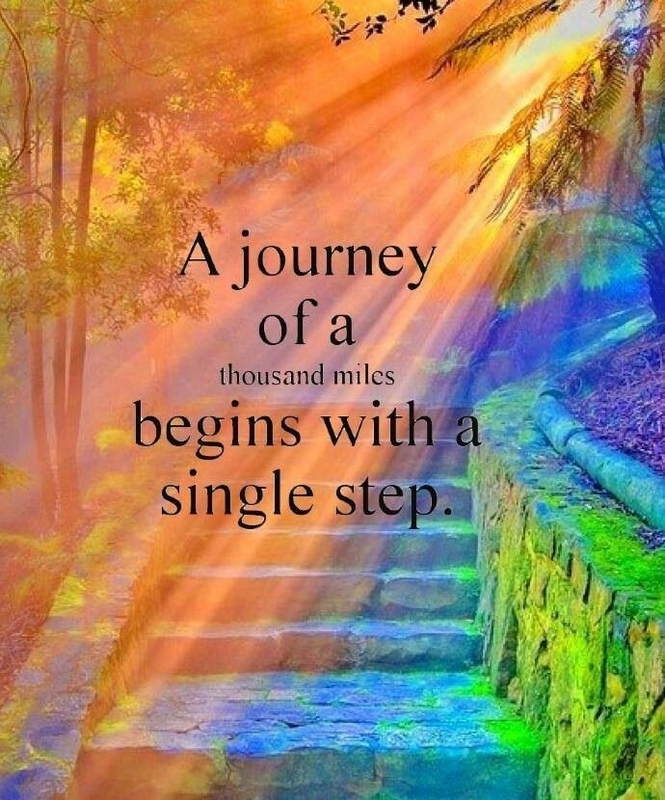 And two steps is the whole journey. There is the artwork that you physically make but there's also the journey that happens on the inside. So often I have felt alone in my journey, yet I've been afraid to let anyone see my fear and weakness. And that is why the man who wants to see clearly, before he will believe, never starts on the journey. How do you expect to arrive at the end of your own journey if you take the road to another man's city? Let us relish life as we live it, find joy in the journey, and share our love with family and friends. Every contact you make with everyone you meet will help them or hinder them on their journey to heaven. We are on a journey of becoming that which we already are. That is the impossible paradox of our lives. Taking people on a journey is the fundamental element of underground dance music. I don't sell records. Somebody is looking at you - and someone needs to see you walk this journey of following God's calling. Death is the end of a stage, not the end of the journey. The road stretches on beyond our comprehension. Courage, I now see, is a journey involving self-doubt and self-examination, with the end never in sight. I understand religion is a walk, it's a journey. And I fully recognize that I'm a sinner, just like you. As you allow the beloved to grow within you, you will discover a steadfastness to the spiritual journey. I've done quite a few records now, and I look back and think of them as documents of my musical journey. 'Life is a journey, Frannie darling,' Feagan had once told me. "Choose well those with whom you travel." I would like to travel light on this journey of life, to get rid of the encumbrances I acquire each day. Religion is intended to facilitate hope and faith. Much like a path is intended to facilitate a journey. I surround myself with authentic and loving people who share my journey of personal growth and awakening. one of the advantages of cycling is that it automatically prevents a journey from becoming an Expedition. Put away the book, the description, the tradition, the authority, and take the journey of self-discovery. To follow Jesus doesn't remove us from the stuff of life. It is not resolution. It is tension and journey. Losing your way on a journey is unfortunate. But, losing your reason for the journey is a fate more cruel.